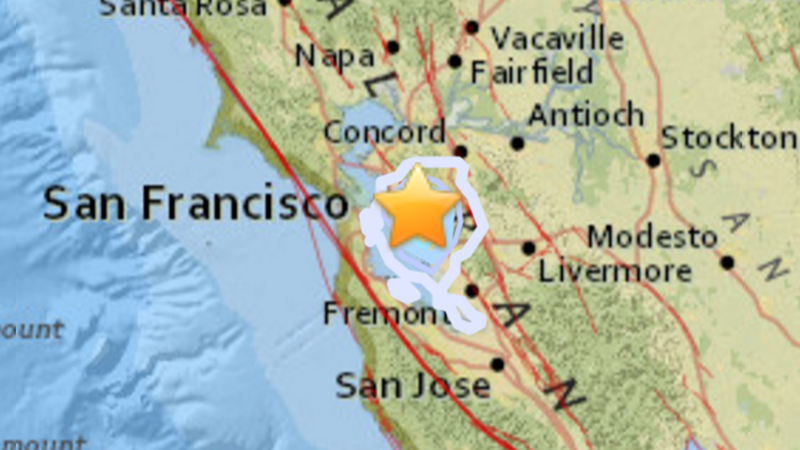 OAKLAND, Calif. (KGO) -- You may have felt a small earthquake that hit the East Bay overnight, a magnitude 3.5 quake struck at 12:50 this morning. It was centered in Oakland -- west of Highway 13 and south of Lincoln Avenue, not far from the Mormon Temple. People reported feeling it from Pittsburg to San Francisco to Milpitas. Many reported a sharp jolt. There are no reports of damage or injuries. The USGS says it had a depth of about three miles, which is considered to be shallow.